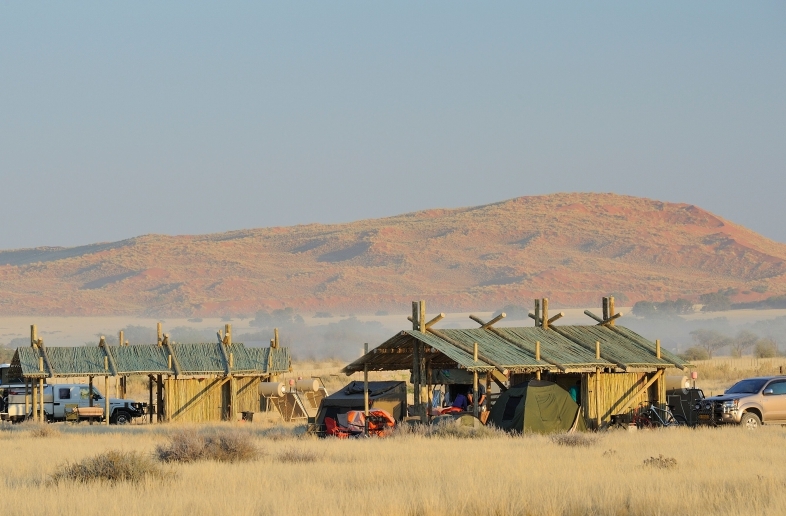 Sesriem Campsite is located in Namib National Park. 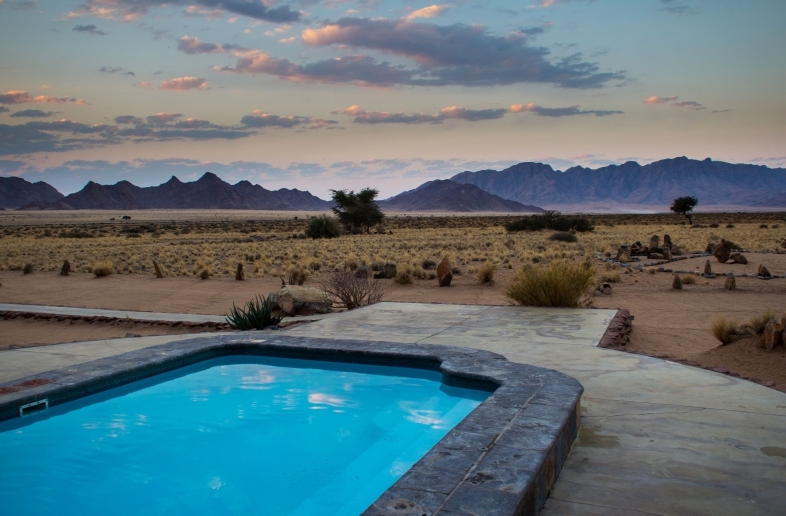 The perfect location if you want to visit the Sesriem Canyon, Sossusvlei and the Deadvlei pan. 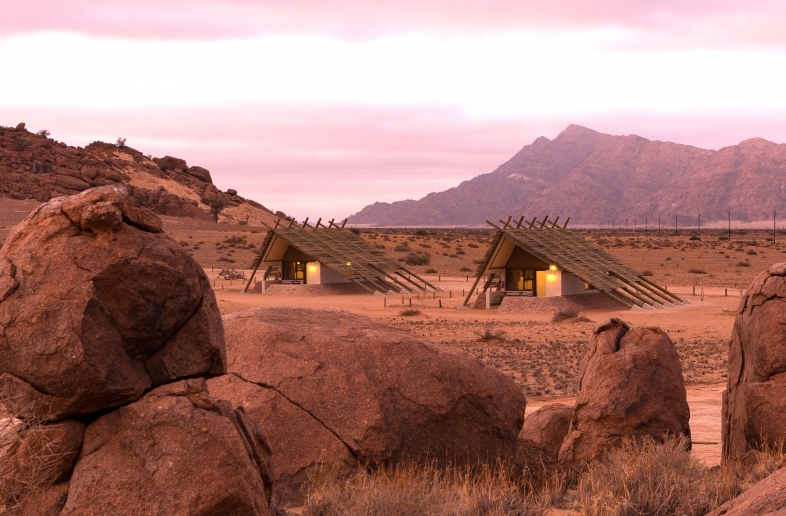 It is ideal for campers who want to experience the Namib Desert with the setting sun above the Elim dune. You can sit by the fire in the evening. Stargazing in this area is incredible when the sky is clear. After a good night’s rest, you get up early (an hour before sunrise) to drive to the Sossusvlei, where you can climb a sand dune and see a spectacular colour change as the sun comes up over the horizon. Sesriem Campsite has 20 camping pitches and a swimming pool to relax. There is also a bar/restaurant. 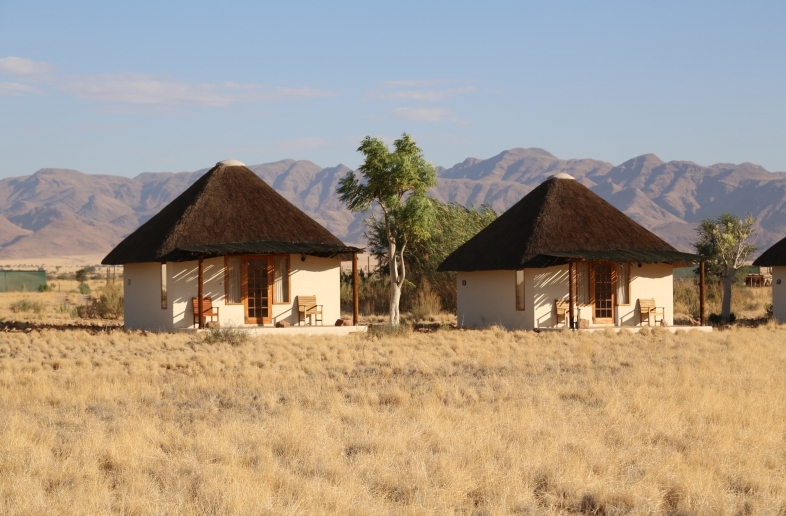 During a self drive 4×4 reis through Namibia, Sesriem near the Sossusvlei is a standard accommodation. 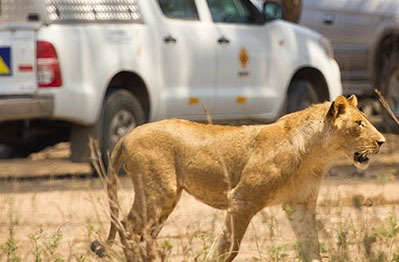 The ideal campsite to visit the highlights of Namibia with your 4×4 rental car. Close to Sossusvlei you will find Deadvlei. A two kilometer walk will bring you to the Deadvlei pan. It’s a photographers dream, dead acacia trees, white salt pan and orange sand dunes! 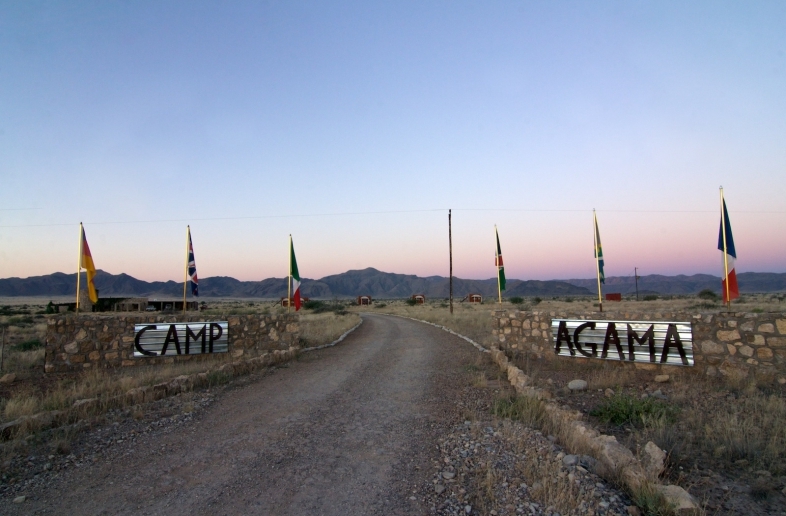 Other camps nearby are Sossus Oasis campsite e.g. Desert Camp with beautiful tented chalets. 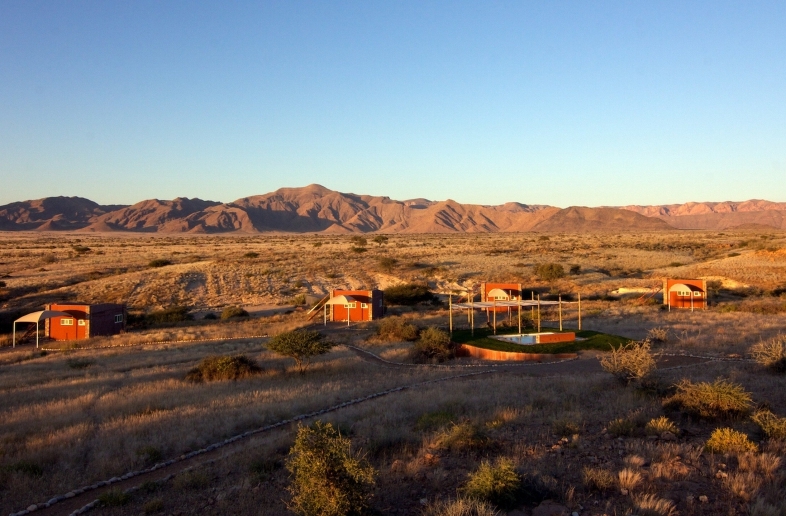 Unique chalets near the Sossusvlei. 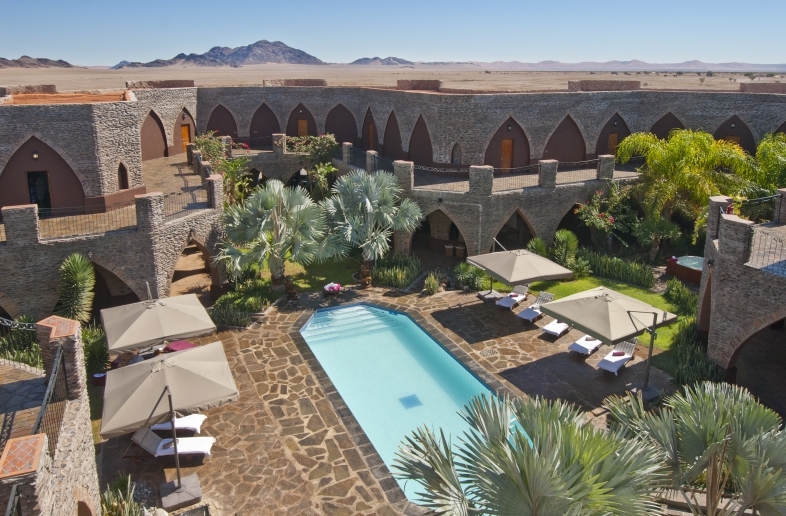 Ideal base to visit Sossusvlei and Sesriem Canyon. 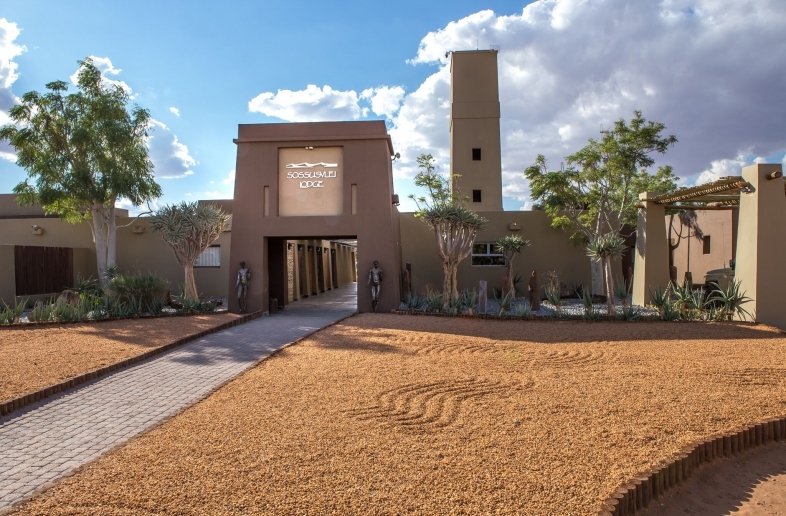 Your luxury gateway to the Sossusvlei and Namib Desert!